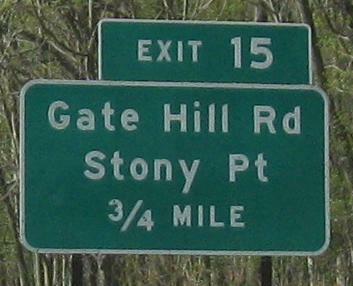 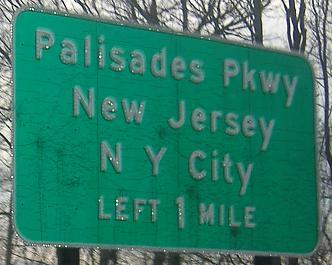 The Palisades Interstate Parkway is only US 6 for the northernmost mile or two, and otherwise is an NY reference route, turning into secret NJ 445 when it hits the border. 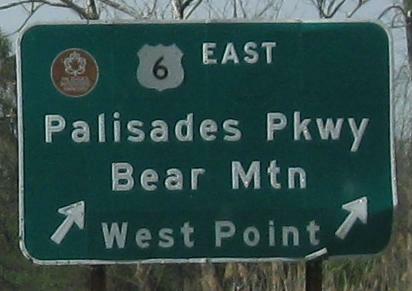 It's incredibly scenic, running through Bear Mountain State Park as well as through the cross-state Palisades Insterstate Park (hence the name), but for all the time it spends near the Hudson River, you can almost never actually see the waterway. 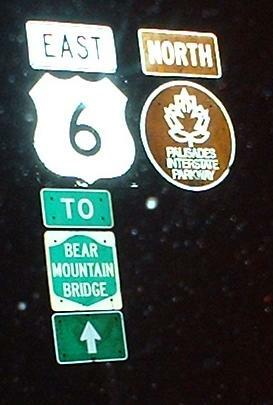 By the way, dig that bridge signage in the top photo; I'm not sure any other bridge has something quite like it. 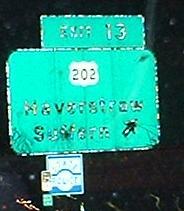 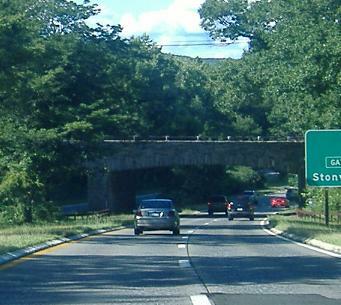 Stone overpass, taken SB nearing NJ. 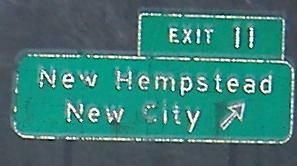 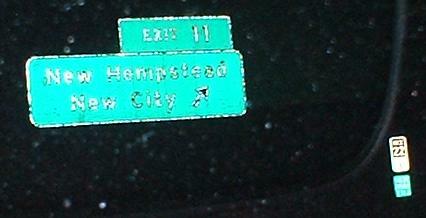 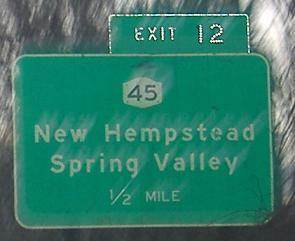 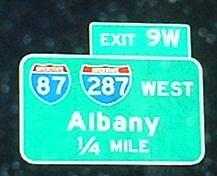 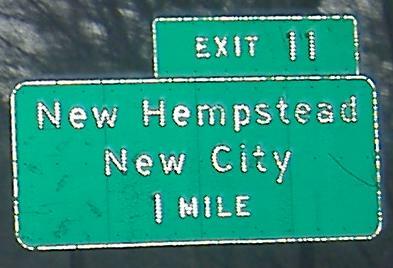 This is indeed I-287 WB, and the roadway is indeed east-west at this point, but I-87 is most definitely NORTH, not WEST. 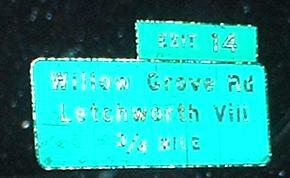 Notice that mile markers are brown and white instead of green and white. 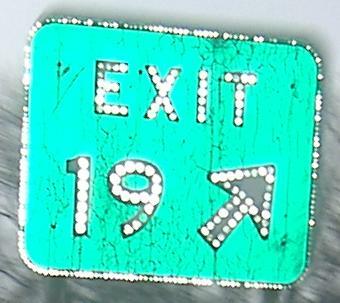 There is also a reference route marker below this one, although you can't make out what number it is (should be 987C). 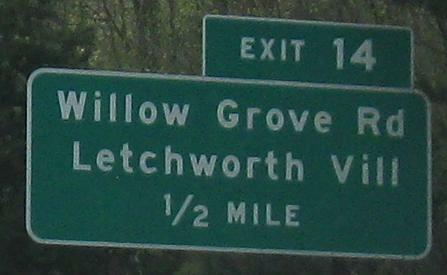 Perhaps the shortest message on any BGS (not including exit tab). 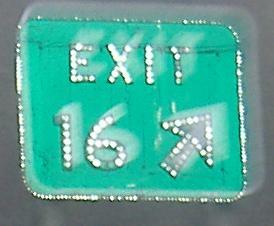 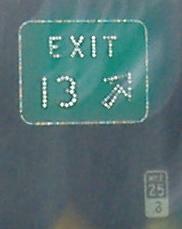 Exit 18 is where the multiplex seen in the top photo begins. 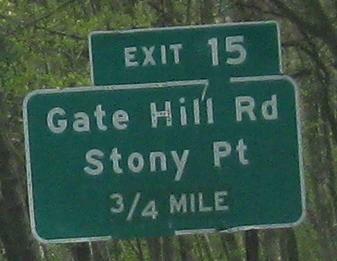 You can tell what was added to the sign. 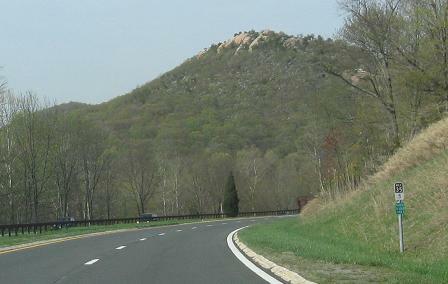 Ending with a view of the top of Anthony's Nose (I didn't name it, but I like it) as the Parkway winds down around Bear Mountain to its end at the traffic circle by the Bear Mountain Bridge. 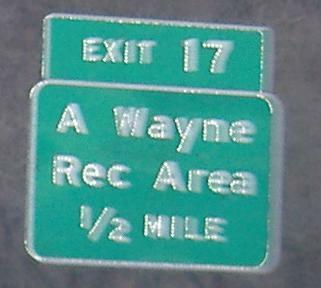 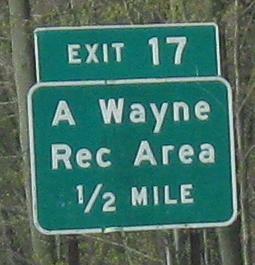 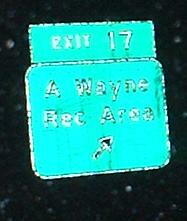 Not just any Rec Area, but a Wayne one! 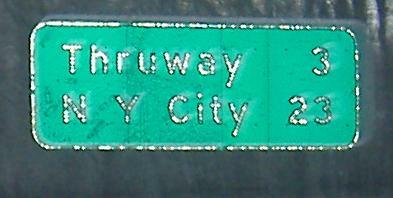 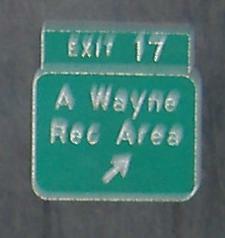 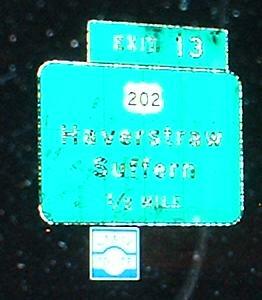 Or, A. Wayne, but NYSDOT couldn't spare the periods. 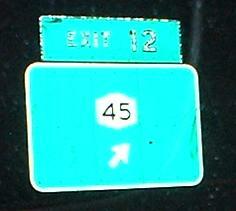 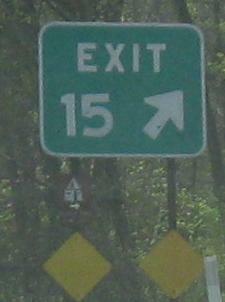 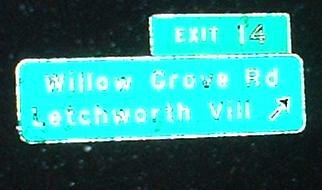 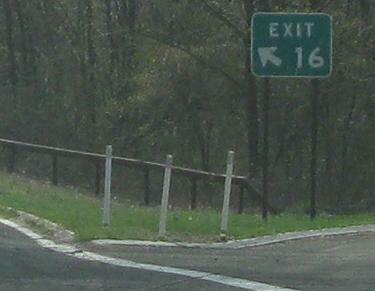 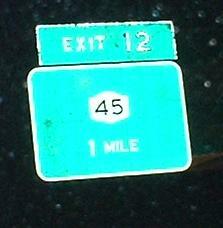 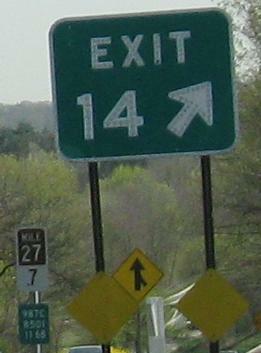 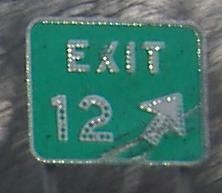 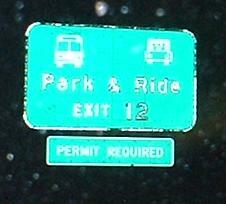 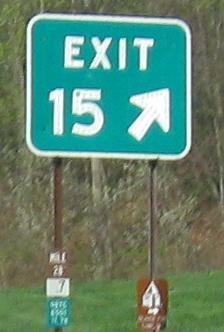 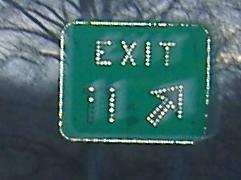 Exit 14 to Willow Grove Rd. 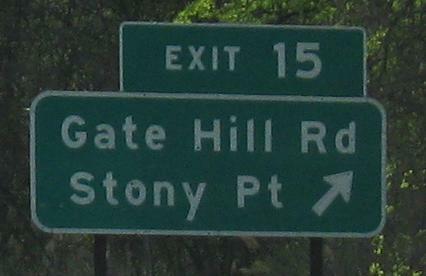 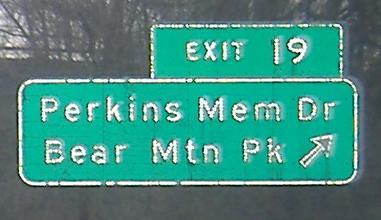 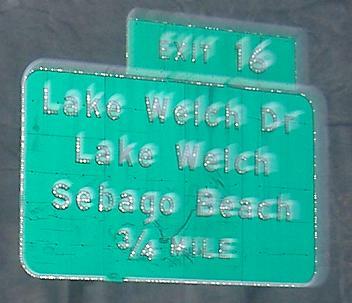 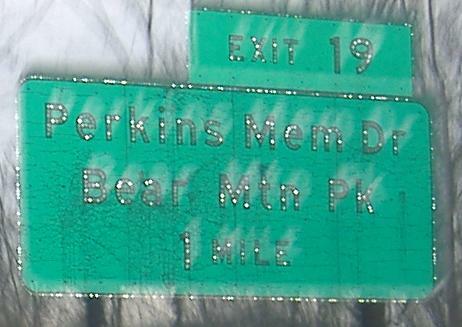 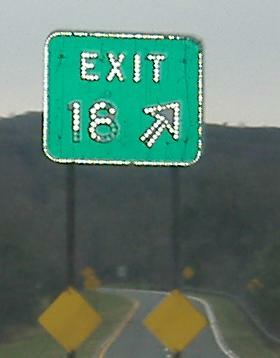 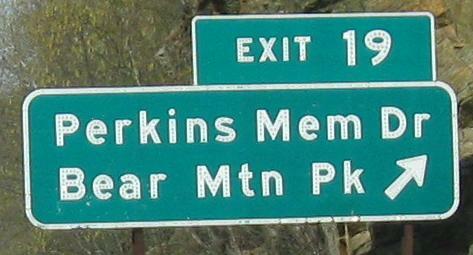 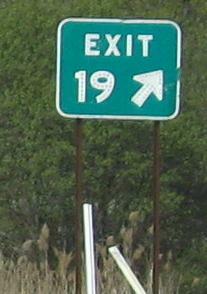 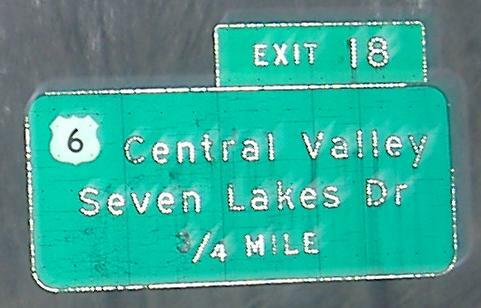 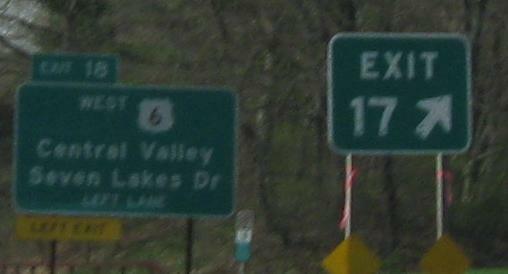 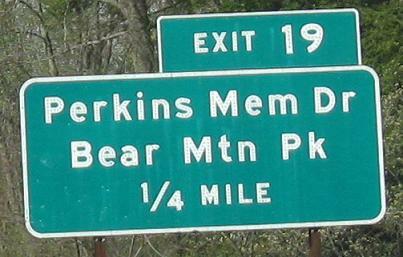 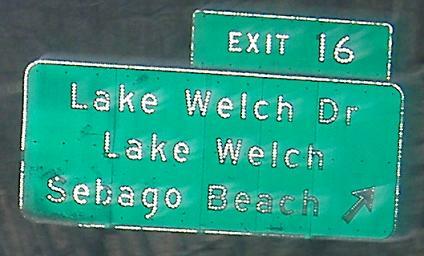 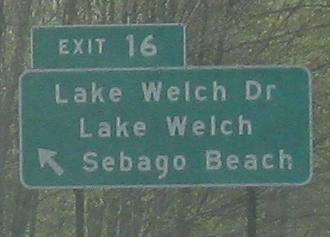 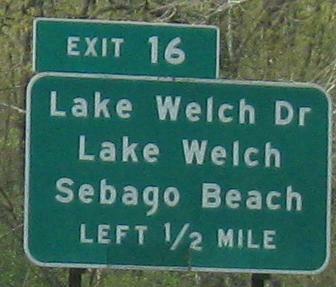 Exit 18 to Seven Lakes Dr.